HHP's son is reportedly "traumatised" after the late rapper's customary wife Lerato Sengadi allegedly "broke into" his Randburg home. Lerato Sengadi, the customary wife of the late Jabulani 'HHP' Tsambo, has denied claims she kicked anyone out of the star's Randburg home. One day after Jabba was laid to rest, a spokesperson for his family revealed that Lerato had allegedly taken over his house and changed the locks. The Tsambo family, who do not recognise Lerato as the rapper's wife, had previously banned her from entering the residence. They claimed the publicist was not HHP's wife as the lobola process was not completed. "I would like to put this matter to rest and categorically state on record that Ms Sengadi is not, and was never married to Jabulani. She is not his wife! Ms Sengadi is Jabu's ex-fiancée and moved out of his home and his life on her own accord last year," family spokesperson Nkululeko Ncana said in a statement shortly after his death. ALSO READ: The end for HHP and Lerato? Nkululeko also claimed that Lerato and her mother went to HHP's house the day he died and requested his policy documents, bank cards, and wallet. Lerato, who denies she is after the rapper's money, took the family to court after being sidelined during the funeral plans. While a judge recognised her as HHP's customary wife, her request to halt the funeral was denied. Nkululeko claimed on Twitter that not only had Lerato taken over the kwaito star's home but she also "illegally booted" his 13-year-old son, Leano, out of his father's house. He also claimed the 'Music & Lights' hitmaker's helper and her son were also given the boot. The pair had allegedly been living with him since 2004. Nkululeko also shared a picture of Leano's school uniform and other items dumped outside. Speaking to Drum magazine, Lerato's lawyer, Ndileka Sithole, rubbished claims she kicked anyone out. “I cannot not comment but one thing I can tell you is that my client did not kick anyone out the house. If anyone was kicked out, it was not done by my client," the publication quoted him as saying. Sithole also denied Ncana's claims that Lerato had broken into the house. 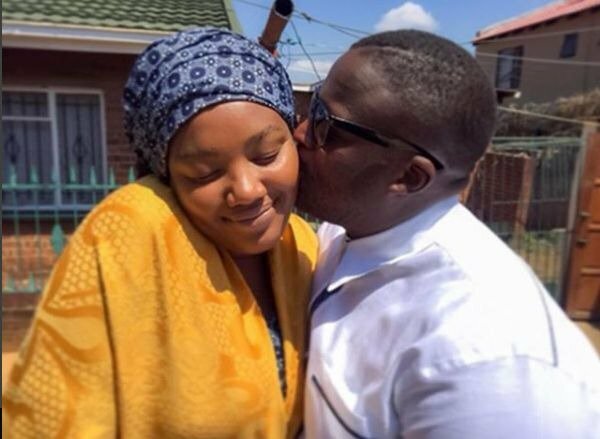 HHP's family have vowed to challenge last week's court ruling declaring Lerato HHP's lawful wife. According to one of Ncana's tweets, a case of breaking and entering has been opened. Meanwhile, Lerato Khanye, the mother of HHP's son, says the boy is traumatised after the alleged "break-in". Two of Leano's friends were reportedly at the home with the helper and the son when they were all allegedly kicked out. "I got a call from traumatised kids who told me that someone was breaking into the house. When they were chased out, the four were taken in by a caring neighbour. She kept them there until we picked them up. Leano was not there because he had slept at my parents' place. He was shattered and could not sleep, thinking about his friends," she told SowetanLIVE.